Admissions to undergraduate and post-graduate medical courses could soon be done on the basis of a single common entrance test to be conducted by Indian Medical Council (IMC). 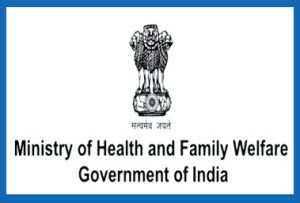 Health ministry has approved a proposal for amendment in the IMC Act that will authorise the Council to conduct a national-level common examination for admission to medical colleges and deemed universities, said a senior Health Ministry official. The common entrance test may be implemented from 2016 if the proposed move gets the Cabinet nod. A draft note in this regard has been circulated among the ministries concerned before it is presented to the Cabinet. MCI had given the consent to a proposal on common medical entrance test in October last year and the matter was sent to Health Ministry for approval. MCI is a statutory body which is responsible for governing the medical curriculum and endorsing medical qualification in the country. The move to have a common entrance test for medical students was first initiated in 2009, when MCI was headed by Dr Ketan Desai. The Supreme Court had in June 2013 ruled that MCI’s notification for holding common entrance test for MBBS, BDS and post-graduate medical courses was “invalid”.